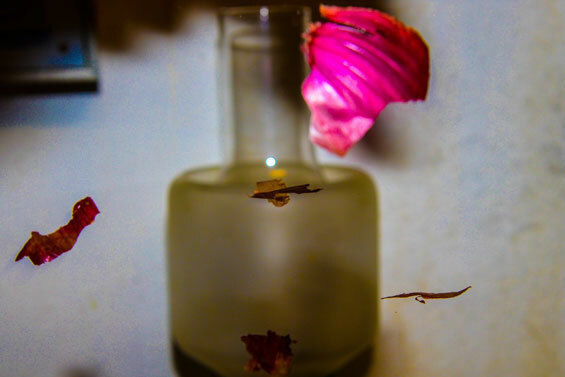 The use of vegetable dyes in the dyeing of textile fibers has accompanied mankind’s evolution society; it’s an authentic story of herbs, flowers and plants. The first dyes with guado (woad) for blue, reseda for yellow and robbia (madder) for red, are attested in the neolithic age at the same time the invention of weaving and the first yarns. Thanks to the vegetable dyes, tissue’s progress has gone on. Dyeing plants have been used over the centuries and today shows their stability to light, washes and wear during the time; these plants have created Italian Textile Art’s heritage: Umbrian painting dyed in guado, vestments embroidered with fine silk yarn and Renaissance tapestries. 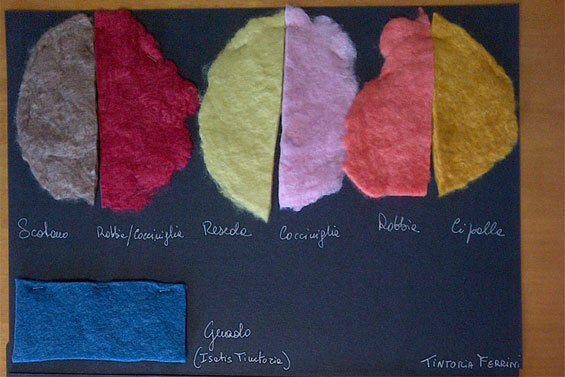 From this works of the past, with documentation we have rebuilt the production and application technology of these precious colourings to further their use to grow up the precious natural fibers’ value of Italian knitwear. "Wearing a colorful garnment is an aesthetic gesture, wellness and portability, but also cultural a modern privilege, expression of contemporary luxury." To have these dyes we have invested in research, focusing on native plant types, cultivable in our climate. We selected seeds for the crops’ reintroduction, we have rationalized the direct collection of wild species to get quantity and quality of raw materials which are also certified organic. 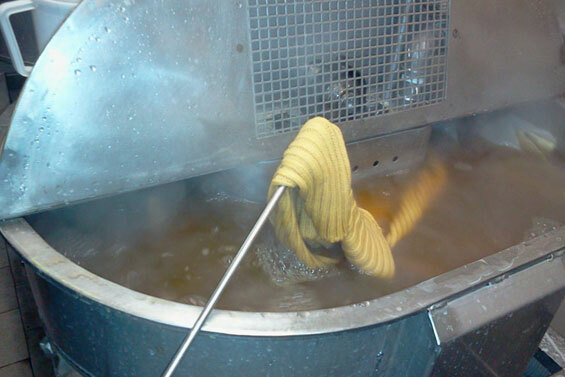 The dyeing are directly monitored by Ferrini through its partners, from the harvesting to drying, the preparing of plants till the dye extracts’ formulation. The choice and use of etcheds and the end dye’s products is accurate in the performance of these delicate procedures, respecting the current regulations. All colours are made with dye plants selected from us (guado for blue, reseda for yellow, robbia for red, walnut husk and almond husk for brown tones, oak galls for grays - blacks) also verifying the relative solidity and identifying stability’s best results. The experience and professionalism of Ferrini’s colorist technicians make possible to develop “customer colours” to get new colours and new shades, also mixing plants for unique and exclusive folder. Building new products of the highest quality and originality in the service for our best customers and at the same time promoting environmental sustainability and renewability of raw materials is the Ferrini’s commitment which is continually investing resources and energy for its production systems’ development.